Imagine a place where life moves at a slower pace and the people are friendly. The air is cool, clean and crisp. The views are breathtaking and the activities abound. Culture and history are celebrated. Art is inspired by nature. Banner Elk is such a place. The Mountain Group at Premier Sotheby’s International Realty is located in the resort town of Banner Elk, the center of the High Country area of the Blue Ridge; our agents are ready to help you find the dream mountain property. Get started on our site, click to search the listings of Banner Elk Real Estate for sale. This enclave is the ideal location for a mountain realty office that features luxury homes in North Carolina. The Appalachian Mountain range spans through this region creating some gorgeous spots throughout; including in some of the most beautifully planned developments and communities. 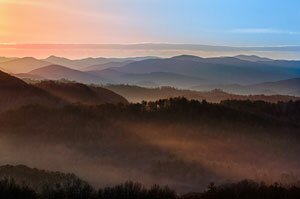 We’ve included some helpful info on the established and more recently developed North Carolina Mountain Communities. 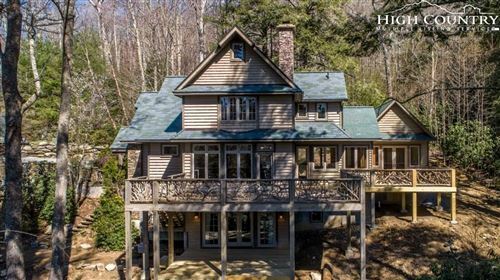 Learn more about the Banner Elk Real Estate for sale in luxury developments such as Diamond Creek, The Lodges at Eagles Nest, and The Farm at Banner Elk. We feature ALL of the Banner Elk Real Estate listings on our site. There is no better site to search to find all of the properties for sale in this area of Avery County. Banner Elk North Carolina is a tiny, resort area nestled at the foot of Grandfather Mountain near Linville. Known for being a popular locale for summer living, Banner Elk has many seasonal and part-time residents. Many choose to purchase homes for sale in Banner Elk because this location makes for the absolute best mountain retreats. Families love this area because there is simply something for everyone to fall in love with. The young and old alike can enjoy themselves. The opportunities for outdoor adventures and leisure activities like golf, tennis, and equestrian pursuits are nearby as are great spots to nature walk, hike, mountain bike, and fish. Search and learn more about the gated, North Carolina mountain communities that are nestled in Banner Elk’s countryside and search for Banner Elk Real Estate.